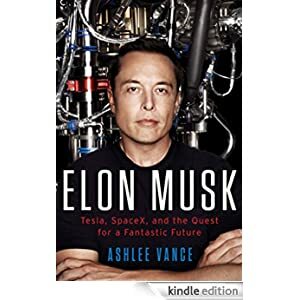 In Elon Musk: Tesla, SpaceX, and the Quest for a Fantastic Future, veteran technology journalist Ashlee Vance provides the first inside look into the extraordinary life and times of Silicon Valley’s most audacious entrepreneur. Written with exclusive access to Musk, his family and friends, the book traces the entrepreneur’s journey from a rough upbringing in South Africa to the pinnacle of the global business world. Vance spent over 40 hours in conversation with Musk and interviewed close to 300 people to tell the tumultuous stories of Musk’s world-changing companies: PayPal, Tesla Motors, SpaceX and SolarCity, and to characterize a man who has renewed American industry and sparked new levels of innovation while making plenty of enemies along the way. Buy this history for $1.99 today.